Well, here goes nothing…. BIM (Building Information Modeling) is an intelligent 3D model-based process that gives architecture, engineering, and construction (AEC) professionals the insight and tools to more efficiently plan, design, construct, and manage buildings and infrastructure. In 2011, the British government announced that all central government projects must be BIM (building information modelling) Level 2 compliant, with it being mandated from April 2016. But seven years on from that announcement, many in the industry remain unsure of what BIM is – and what firms need to do in order to be compliant, as revealed in a survey by specification services provider NBS. Only 58 percent of Britain’s industry respondents were confident in their BIM knowledge and capability. Around 41 per cent said they were still unclear on what they needed to do to comply with the mandate. This confusion about BIM is presenting difficulties for the their industry. It appears the concept of BIM may be too complex for people working in non-technical positions to understand. Engineers, designers and architects within companies are the ones pushing the agenda but outside of these roles, BIM remains unclear to most. It is often misunderstood as being a 3D design software tool, when in fact it is more like an initiative to move the industry into a data-driven world from a document-driven world. 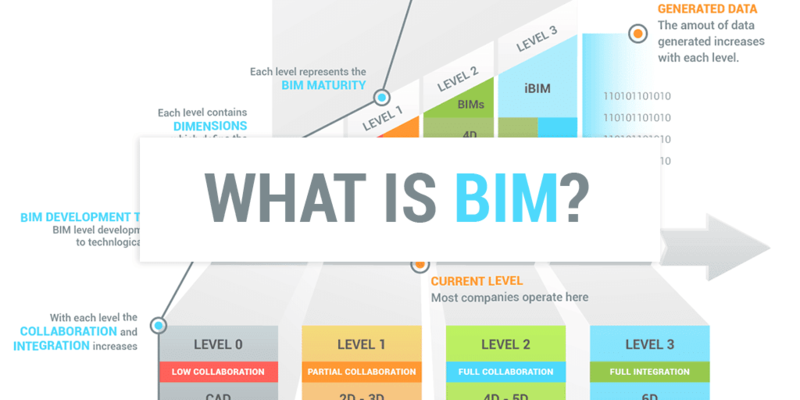 A big problem arises when BIM is taken beyond the engineering side and forced onto construction’s management, supervisors, investors,etc where BIM is almost a second language that they don’t want to learn or have time to learn. Being promoted by Autodesk could explain why many people mistake BIM for being just a 3D design tool. When the industry moved towards designing buildings using computers instead of pencil and paper, BIM was associated with this move from 2D to 3D design. Britain’s BIM program knowledge and use appears to be much further ahead of the US simply because our industry hasn’t yet learned “BIM Speak”. Confusion around BIM suggests there is ambiguity in the way the subject matter can be interpreted. Talk to different engineers and designers and each will give you a different definition of BIM and how it should be incorporated into modular construction. Many think it tends to restrict investment in other innovations such as 3D imaging, AI and other ideas. BIM is restrictive, as it focuses on one area of digitizing construction at the expense of other technologies. Before your company looks at incorporating BIM into engineering, planning and costing make sure you first fully understand what BIM can do for you and secondly make sure everyone learns your company’s “BIM Speak”. Coach, even your explanation is confusing. Think I will just pass on the whole BIM thing.